Lottery brokerage Zeal Network has recently revealed details of the all-share voluntary acquisition offer for its former subsidiary Lotto24. Shareholders for Lotto24 have now been given the chance to accept the offer by tendering their shares to Zeal at the rate of one new Zeal share in exchange for 1604 shares of Lotto24. The period for acceptance is expected to run until the 10th of April. Zeal has also note that it has since secured around 65% of the shares for Lotto245 as well as voting rites thanks to tender commitments from major shareholders in the digital lottery broker Gunther Group, Working Capital, and Jens Schumann. The offer was approved by the German Federal Financial Supervisory Authority. 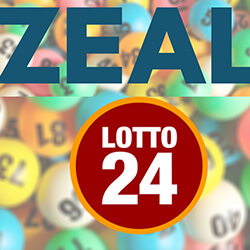 CEO of Zeal, Dr Helmut Becker, has stated that the brokerage is on track to reunite the former subsidiary, and has also asked that Lotto24 shareholders join Zeal on what he has described as an exciting journey. He also added that conversion of Tipp24 to the lottery brokerage model, as well as their combination with Lotto24 will create a better platform for accelerated and superior growth in Germany and other markets. He continued by saying that Lotto24 grew its market share the online lottery market by 34% in 2018, and that they will continue to build on this position, using their combined technology and scale to further future expansion plans. If the deal is completed, Zeal will transform its secondary lottery business into a locally licensed online brokerage model.